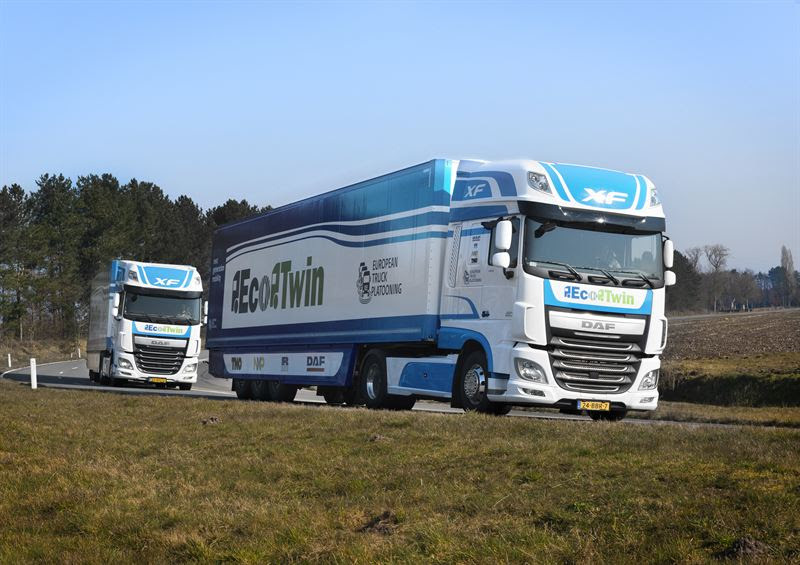 A consortium of DAF Trucks, TNO, NXP and Ricardo is uniting under the name EcoTwin to participate in the European Truck Platooning Challenge – organised by the Dutch Ministry of Infrastructure and the Environment, and set for Wednesday 6 April. The objective of the Challenge is to obtain permission from governments to perform large-scale, pan-European testing of truck combinations linked wirelessly (‘platooning’), thus enabling truck combinations to drive in close proximity to provide fuel economy benefits, lower CO2 emissions, increased safety and improved traffic flow. 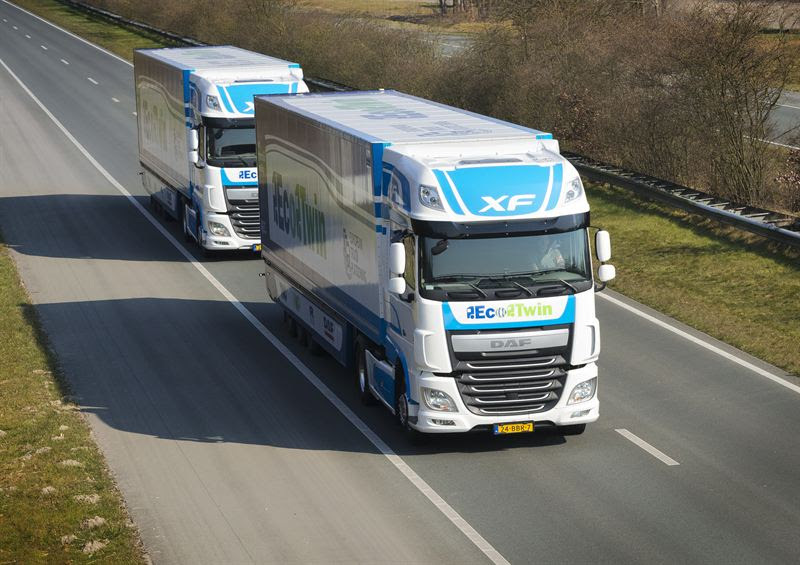 Truck Platooning involves trucks driving a short distance apart using automated driving technology. The Truck Platooning Challenge will demonstrate that a second vehicle is technically capable of automatically following the combination ahead using Wifi-P, radar and cameras. 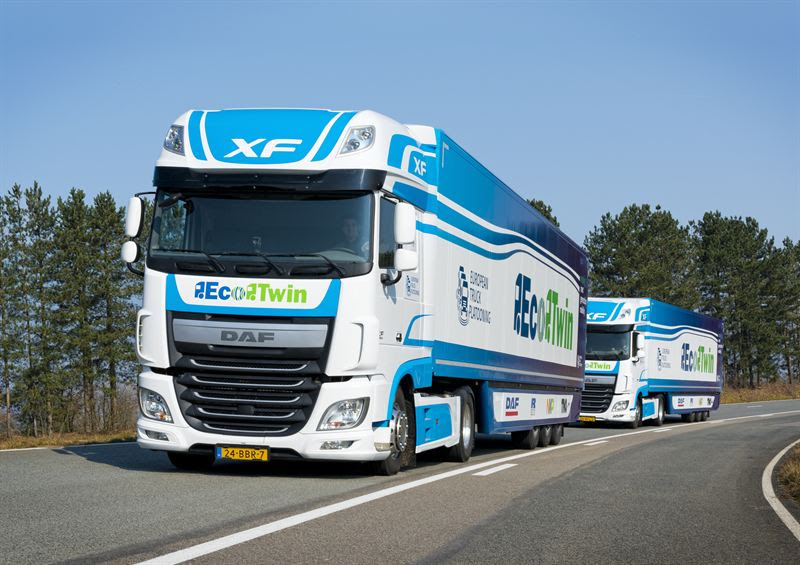 Within the context of the ‘EcoTwin’ project, it has already been demonstrated that the second vehicle is also capable of steering automatically. However, the emphasis during the Truck Platooning Challenge will be on autonomous acceleration and braking. In this regard, the planned distance between both combinations is 0.5 seconds, which, at a speed of 80 kph, approximates to a distance of 10 metres. One unique aspect of the ‘EcoTwin’ combination is the advanced Wifi-P connection, developed by NXP and specially designed for automotive applications. The rapid speed of the communication enables both DAF trucks to drive even closer together. Furthermore, Wifi-P allows the drivers of the ‘EcoTwin’ combinations to communicate with each other while driving. Everything that the driver in the first truck sees in front of him is projected onto a screen in the second truck (‘See Through’). By reducing the gap between truck combinations as far as possible and making the most of slipstreaming, fuel savings of up to 10% can be achieved in future, along with equivalent reductions in CO2emissions. Furthermore, Truck Platooning will further enhance traffic safety, thanks to the combination of Wifi, radar and camera systems. Another benefit is the further improvement to the flow of traffic, because ‘platooning’ trucks will not overtake each other. 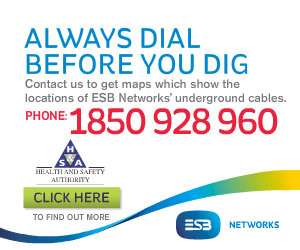 Moreover, technologies are being developed that will enable passenger vehicles to join the traffic or leave the motorway safely and responsibly.